The number of hours each year Natural Resource Planning students volunteer in service learning projects with community partners. The number of youths who participated in environmental education programs taught by our students at the Central Wisconsin Environmental Station in 2015. 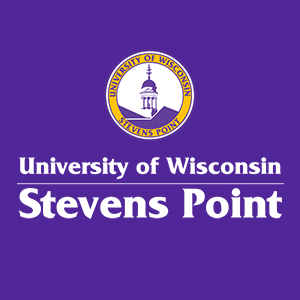 Use problem-solving, decision-making and communication skills to address environmental problems with a resource management degree at the University of Wisconsin-Stevens Point. environmental education and interpretation, preparing you to teach and inspire people to appreciate the natural environment. Jobs include Educators at parks, museums, zoos and nature centers. natural resource planning, developing your skills by customizing your training through three concentrations — land use, conservation, and policy — to enhance understanding of planning and management challenges in natural resources. You will apply various tools and involve communities in discussions addressing environmental problems in diverse socioeconomic and ecological conditions. Our graduates include city and regional planners, land trust and advocacy staff, and sustainability coordinators. conservation law enforcement, training you for a career as a conservation warden, natural resources patrol officer, park ranger or forest patrol officer. environmental science and management, providing a broad-based foundation in natural resource management leading to a number of career paths in the public and private sector. wildlife education, prepares you to teach and inspire people about wildlife. Work opportunities include positions at zoos, rehabilitation centers, aquaria, and nature centers. Your classes will provide foundational courses in natural resources such as forestry, soils, wildlife, water, fisheries, sustainability science and human relationships with natural resources. Students appreciate our program for its integrated curriculum, a summer field experience, hands-on experiences with service-learning projects, educational programming experiences, and professional development with internships and other career-preparation skills. Our faculty have doctoral degrees in various resource management disciplines, such as natural resources, environmental education and interpretation, urban and regional planning, natural resources planning, youth programming/camp management and resource policy and social science. In 2014, we became one of the first university programs in environmental education to be accredited by the North American Association for Environmental Education (NAAEE).